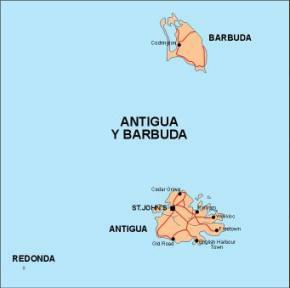 Antigua and Barbuda (Spanish for “ancient” and “bearded”) is a twin-island nation lying between the Caribbean Sea and the Atlantic Ocean. 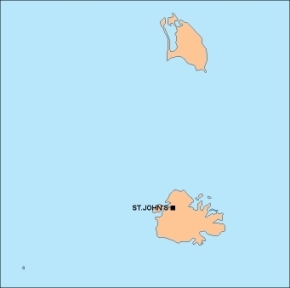 It consists of two major inhabited islands, Antigua and Barbuda, and a number of smaller islands (including Great Bird, Green, Guinea, Long, Maiden and York Islands and further south, the island of Redonda). 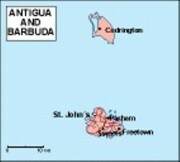 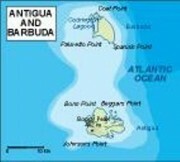 The permanent population number approximately 85,000 and the capital and largest port and city is St. John’s, on Antigua. 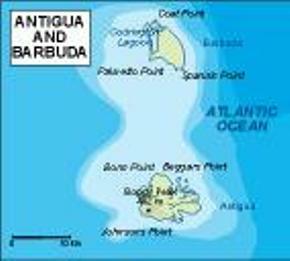 Separated by a few nautical miles, Antigua and Barbuda are in the middle of the Leeward Islands, part of the Lesser Antilles, roughly at 17 degrees north of the Equator. 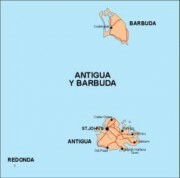 The country is nicknamed “Land of 365 Beaches” due to the many beaches surrounding the islands. 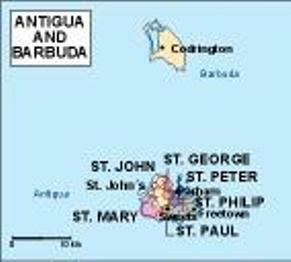 Its governance, language, and culture have all been strongly influenced by the British Empire, which the country was formerly part of.